Recalled Boy Scouts of America neckerchief slides. The affected neckerchief slides were sold between February and August 2018. 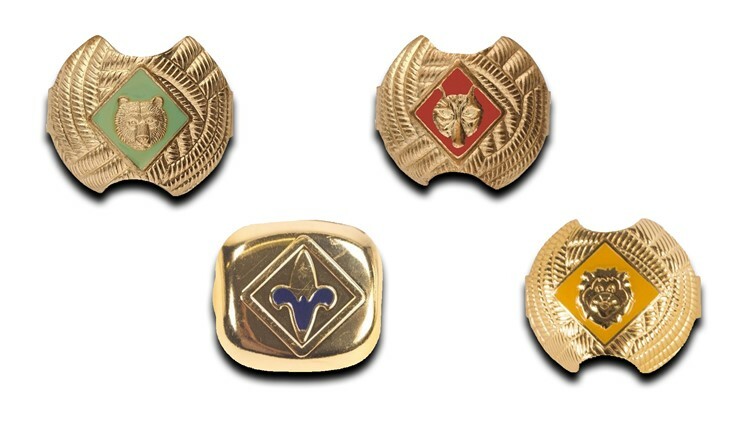 Boy Scouts of America recalled certain neckerchief slides because they contain high levels of lead, the U.S. Consumer Product Safety Commission announced Wednesday. The affected neckerchief slides were sold between February and August 2018. The recall includes certain Wolf, Bear, Lion and Webelos slides that contain high levels of lead in the colored enamel paint. The affected batches were manufactured in China, Boy Scouts of America said in a statement. BSA also said it does not believe the recall will be expanded to include other batches. No injuries related to the recall were reported. Consumers should stop using the recalled slides and return them to any Boy Scouts of America retail stores or distributors for free replacements. More information on returns can be found at https://www.scoutshop.org/returns.